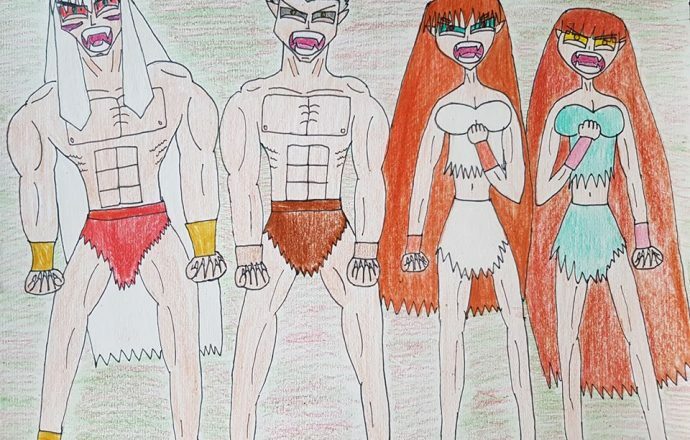 It’s time for Inuyasha, Ginta, Ayame, and Shunran to go wild, completely beast mode, more specifically full yokai mode, and roar their guts out! They are sure to give any demon, monster, and/or villain a good thrashing and a good fright. By the way, these guys don’t need spears or bows and arrows to do the job like any jungle warrior could. That’s why they have their fists to deliver a barrage of blows, feet to deliver lightning kicks, and claws to tear through any tough material. I definitely found Inuyasha’s full yokai form to be a force to be reckoned with, as he does bear a sense of power, authority, and animalistic ferocity. However, I have always wondered how Ginta, Ayame, and Shunran would look like if they tapped into their yokai form. Well, this is what I came up with. I gave Ginta flashing silver eyes, Ayame flashing teal eyes with crimson irises, and Shunran bright yellow eyes with golden irises, thus being respectively reminiscent of a wolf and a panther. I must say, this was a great and awesome pleasure to see these four go feral and tap into their beastly capabilities. 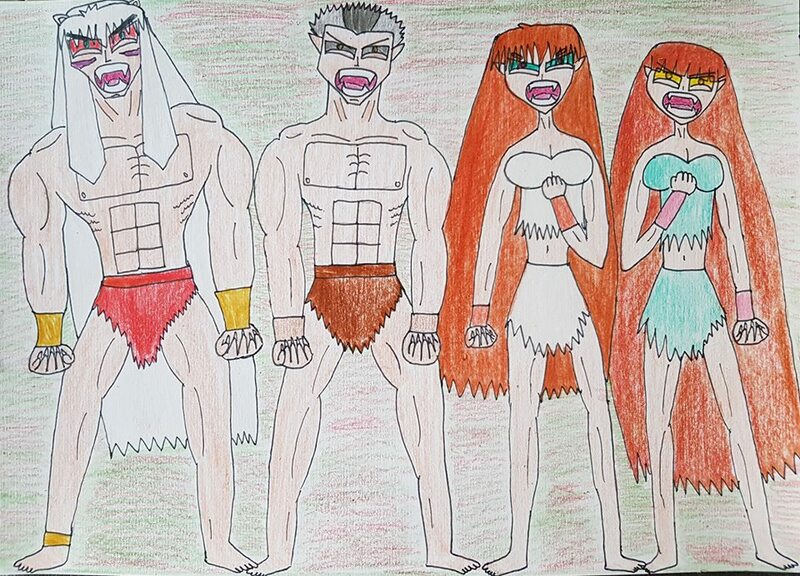 One can tell that Inuyasha, Ginta, Ayame, and Shunran would be a lot more formidable than they already are. Thanks for having a gander at this piece of fan art, and have a lovely, sunny day. Take care.